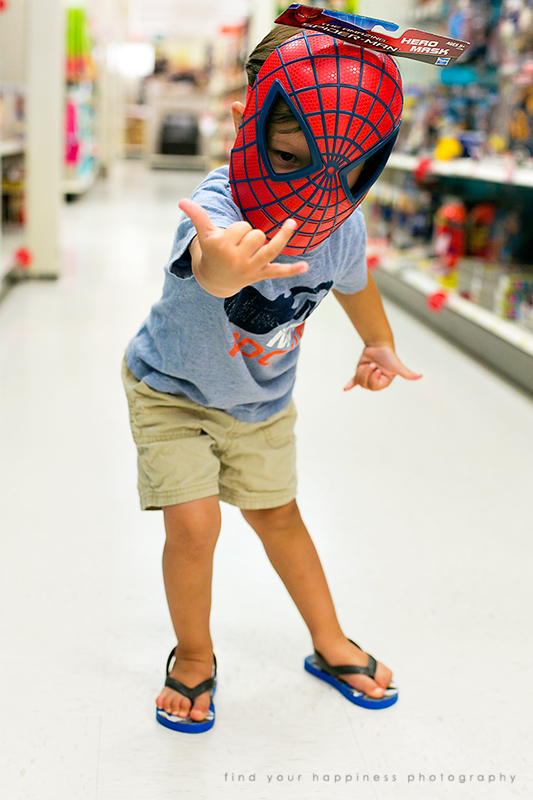 It is amazing how obsessed Nathaniel is to Spiderman. Even more so when you think about the fact the he has never seen any Spiderman movies or cartoons! It started when he first learned about spiders and we got him a spider paint tattoo after running his first 1-mile run in Texas. He now possess numerous Spiderman t-shirts, pajamas, underwear, band-aid and shoes; but surprisingly no action figures or toys! His older cousin is also coo coo for Spiderman and is actually having a Spiderman party for his third birthday this coming weekend. 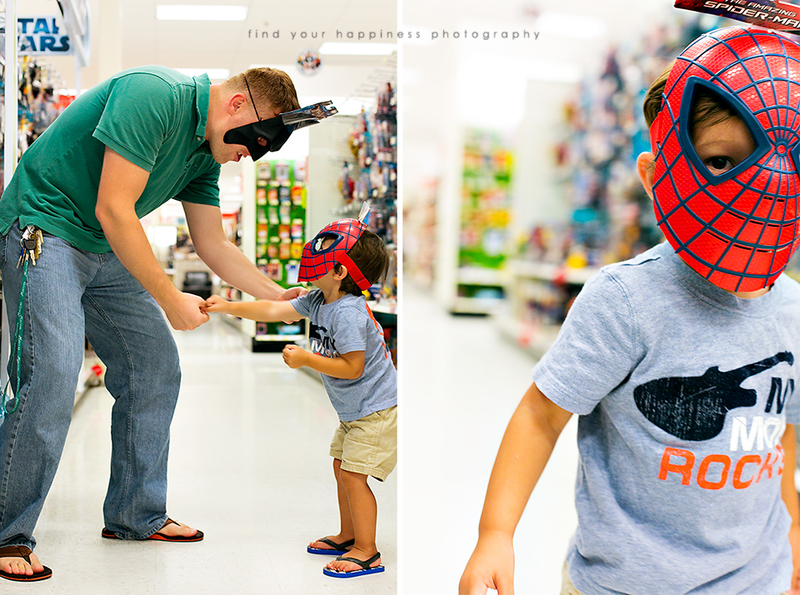 I'm thinking I need to buy Nathaniel a little Spiderman present because he will jealous of all Daniel's presents!